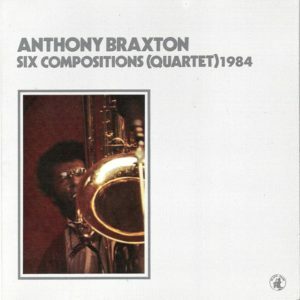 Here is one of Anthony Braxton’s most accessible albums of the 1980s — at least, one of his most accessible albums from that era featuring all original compositions. The opener “Composition No. 114 (+ 108A)” is a misstep, but the boppish nature of much of the rest of the disc is sure to please many. This is one of the better places to start with Braxton’s 80s output.